Have you ever seen a giant moth? 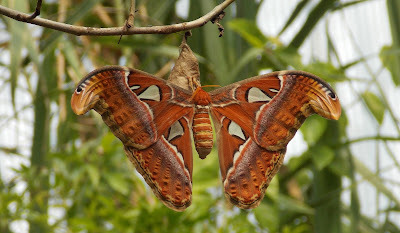 One of the biggest moths in the world is called the Atlas moth (Attacus atlas). Its wingspan is between 9-12 inches (25-30 cm)! The atlas moth is primarily orange and has beautiful geometric patterns of white and black across its wings. As with other moths, the Atlas begins its life as a caterpillar. It eats and grows until it is ready to turn into a winged moth. Then it wraps itself in a cocoon and the pupa slowing transforms into an adult moth. Once it has transformed, the Atlas moth can no longer eat. It has no functional mouthparts. In fact, many moth species are unable to eat once they transform from the larva state. The Luna, Polyphemus, Promethea, and other species of adult moths do not have mouthparts. Because it has no mouth, the Atlas moth must survive off the energy it consumed as a caterpillar. It spends most of its short adult life being still in order to conserve energy. It’s one purpose as an adult is to reproduce. It does not waste time looking for food sources to perpetuate its own life. God gave the adult moth one job. And it has everything it needs to do it. Likewise, as Christians living in these last days, God has given us one job. We may fret that we don’t have certain talents, good looks, money or other things. God has given or will give what we need to do the job he has given us. In the next life we will have everything we want, long life, good looks, money, even the streets will be paved with gold. But in this short life on earth, God has left us one job— to tell people of his soon return. We are to live with this as our primary priority. We are the Remnant people. We do not have time to be preoccupied with chasing after worldly things. We have an urgent message for the world. Jesus instructed us not to worry about anything, not even what we will eat (Matt. 6:31). We need to be focused on telling people to get ready for Jesus’ soon return, encouraging them to repent and prepare for his coming judgment. We need the perseverance to stay focused on our one task, which is to keep the commandments of God and the faith of Jesus. Is it wrong if we do have good looks or lots of money? Do you think God gives these gifts to some people for a reason? How do we share God with others when they don’t seem to want to hear it? Does God expect us to trust him even if we have lost everything? Is it wrong to feel worried about things? How do you stay focused on God even when you feel worried? 1. Kasey, "Atlas moth," Remain Gardens: Iowa State University, July 2017, accessed March 13, 2019 from https://www.reimangardens.com/2015/07/atlas-moth/. Birds can be funny and odd creatures at times. 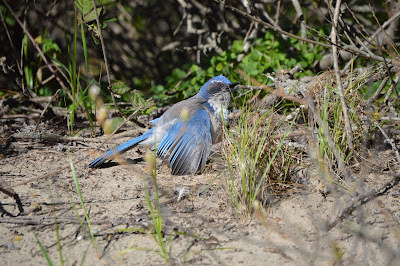 Perhaps one of the most unusual things birds do is called “anting.” A bird will deliberately find an ant hill, sit on top, spread its feathers, and let the ants crawl all over it. 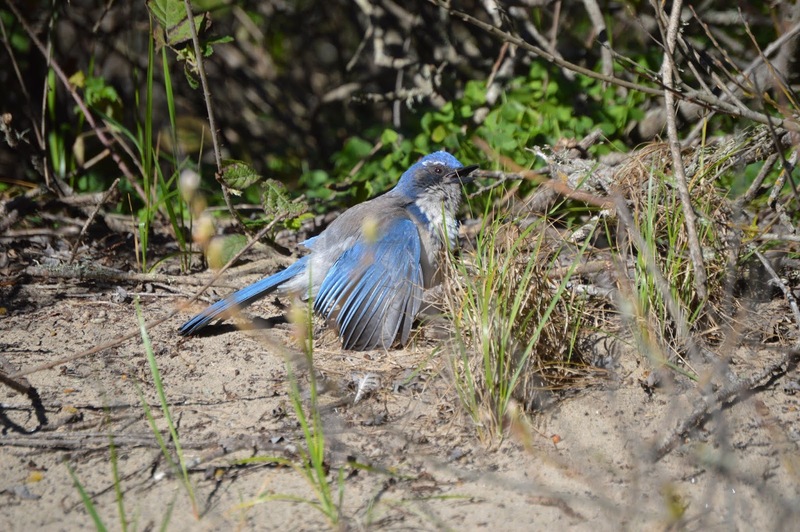 Sometimes, the bird may even pick up the ants with it’s beak and place them on itself! If humans tried this they would certainly regret it. But many bird species are known to do this purposely and suffer no ill effects. It can be similar for outsiders watching Christians. Why do Christians do weird things regular people don’t? It has been this way since Jesus called his disciples. Outsiders often can’t understand why someone would give up their money or possessions, leave a comfortable life or even risk their life for some guy named Jesus. Why do Christians give up some behaviors that might feel good or be easy? Why do they waist time going to church and reading some old book? Why do Christians make such a fuss about good behavior? What’s wrong with a little white lie or getting revenge on someone who really deserves it? When we accept Jesus into our life and invite the Holy Spirit to change us from the inside, we are sure to change our behaviors and ideas. Growing in Christ means we become more like him. We put away the “normal” things of this world such as wickedness, deceit, hypocrisy, and evil speech. We do “unusual” things like spend a lot of time getting to know Jesus and risking our reputations and our lives for him. God said his ways are not our ways (Isaiah 55:8). Jesus said we may even be hated because we are different when we follow him (Matthew 10:22). It is ok to be different. It is a sign of your spiritual growth. Being different may cause people to ask why, and this is a great opportunity to tell them about Jesus! Have you ever felt odd because of the choices you have made for Jesus? What changes have you seen in your life that let you know you are growing in Christ? 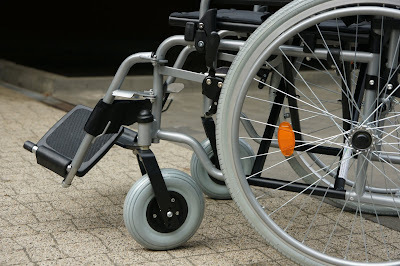 Does being different guarantee that we will experience persecution? If we don’t feel odd about our behavior as Christians does that mean we are not living like Christ? What changes do want to see in the future in your life? Pray that God will continue to make you more like Jesus. 1. Eric Grundhauser, "Birds Rub Ants on Themselves, and No One Knows Exactly Why," Atlas Obscura online, (November 21, 2017), accessed March 11, 2019 from https://www.atlasobscura.com/articles/mystery-bird-anting. Note: To illustrate this lesson it is ideal to have a tent set up or partially set up that can be quickly collapsed on que. I think Paul the Apostle would fit in well if he were alive today. He loved to travel and spent a lot of time living in a tent. He also wrote to his friends a lot about his travels, so he would probably enjoy using social media. Paul was very knowledgeable about tents because he was a tent maker. He knew how portable they could be. He also knew how many drawbacks they have as a permanent residence. Tents make a nice temporary home while traveling. But they are not ideal for living in long-term when compared to a permanent house. In the key text, Paul is comparing our life here on earth with our future life in heaven. The Bible assures us that this life we are now living is temporary. It does not have all the comforts of a house. There is hardship and troubles. Storms can wreak our lives and blow our tent over so to speak. Tents are simple and only provide the bear necessities. Much like this life we often only have the essentials to live. We do not have the assurance of tomorrow. This life may collapse around us, it may wear out. Sickness, pain, financial hardship, unkind people, and death have likely afflicted you in this life. Paul reminds us of the hope we have in Jesus. Even though our home, our body, this whole life may be dismantled, we know it is only temporary. God is building us a permanent home in heaven where moth and rust do not destroy, where thieves cannot break in and steal (Matthew 6:20). He is preparing new bodies that are incorruptible (1 Corinthians 15:52). He has prepared a place with the Tree of Life that will provide healing to the nations, and where every tear will be wiped away (Revelation 22:2, 21:4). God has already demonstrated the fulfillment of a promise like this before. The Children of Israel lived in tents for 40 years as they wondered the wilderness, hoping for the day when they would arrive in the promised land and build permanent houses. And one day, God fulfilled his promise to them. Even greater assurance is provided by the resurrection of Jesus. While in this temporary life, he did not even have a tent to live in! But God has already raised him to life in an incorruptible body and taken him to live in a permanent home in heaven! He has promised to do the same for you and me. Have you ever had a tent collapse on you before? How did that experience make you feel? 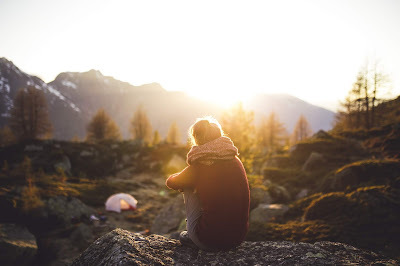 Have you ever felt as if your whole life has collapsed around you like a tent? Does the hope of eternal life make difficulties in this life easier to cope with? Do you ever feel like the promise of heaven is too far away or doesn’t seem to make your life easier to deal with? Why do you think that is? What other promises in the Bible can you cling to when your life is falling apart? There are times in our lives when we do things we shouldn’t, even though we know better. This story is about one of those times. Most guys are into big 4x4 trucks and off-roading at some point in their life, even if they never actually own an off-road capable vehicle. When I bought my first 4 wheel drive truck, I was ecstatic! I was the proud owner of a 2003 Nissan Frontier with a Supercharged V6. It wasn’t everyone’s dream off-roader, but it belonged to me, and I was excited! There was only one limitation, I was in college and didn’t have any money to outfit my new truck for going off the asphalt. After a long period of saving and dreaming, I was able to stash enough money for some serious off-road tires. And with those on my truck, I was ready to tear up some dirt! I tested out my tires on a few day trips with some buddies and the truck handled spectacularly. Next, I decided it was time for a multi-day trip on an overland trail. I set my sights on the Kentucky Adventure Trail, a 900+ mile loop trail in Eastern Kentucky. This is not an official, maintained trail. 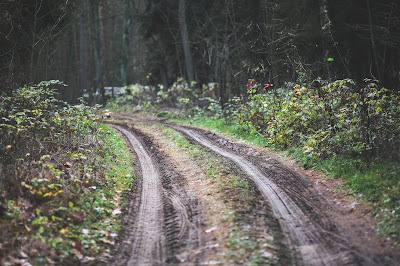 It is a hodgepodge of forest service roads, old logging trails, and backcountry roads strung together by a GPS route. The route was mapped and is kept updated by volunteers from the region. No one maintains the trails themselves. 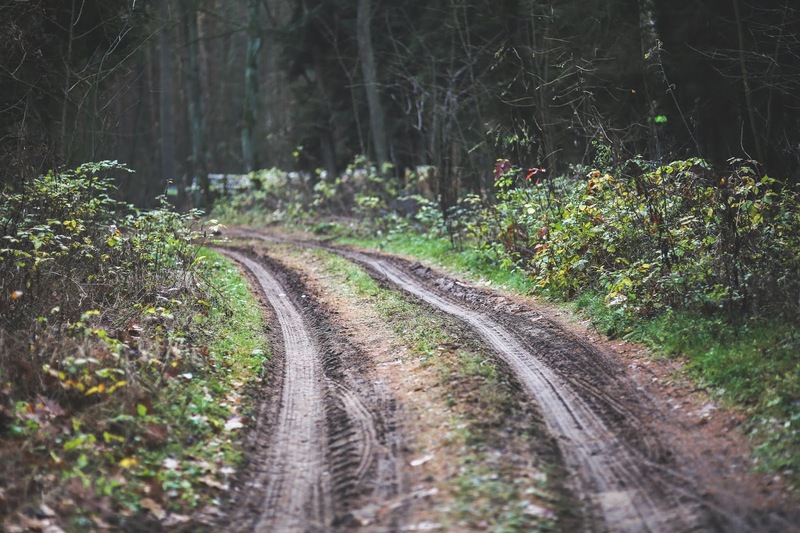 Before venturing onto the KAT as it has been dubbed, one needs to make sure they have the latest updated GPS route because the route can change drastically due to blocked or closed trails. This was the adventure I chose as my first multi-day trip. And that is when I started down a dangerous path. I gleaned as much detail as possible from the limited information available about the route and chatted with people who had been on it. I learned all the hard portions of the trail were optional detours and that the main trail was easy enough. I set a date and invited some friends. The day for departure finally arrived after much preparation and anticipation. My wife and I would be riding in my truck. And my friends, well they couldn't attend due to last minute schedule conflicts. Most of the first day of our trip was uneventful but beautiful. The back roads of Eastern Kentucky pass through miles of rural forest and rolling hills. Our path changed from pavement to gravel to dirt and back again. Towards the late afternoon, we found ourselves on an old logging road. It crossed a few streams and then began to climb, becoming ever-more narrow. It was muddy and my mud-terrain tires finally earned their keep. The trail became littered with large rocks that required slow crawling speed. At times one side of the road dropped dozens of feet and was barely wide enough to keep my tires from sliding over the edge. After this, we came to a tight corner that required an eleven point turn just to navigate followed by a decent so steep my tires were sliding even though I had the brake pressed to the floor. I grew concerned as you might expect that we had ventured into one of the challenging detours. Checking my GPS, the green route confirmed this was the main "easy" trail. I could see yellow and red sections nearby marking the more challenging detours. The trail had become so narrow by now that there was no place to turn my pickup truck around. The only option was to head down the worsening trail. As we continued slowing along it began to grow dark. The GPS showed that we were miles from anything. We continued, mile after mile, praying we could get to a paved road. We did not plan to camp in this remote forest. We were in the midst of bear country. When darkness set in the trail became difficult to distinguish. My truck did not have a heavy duty bumper or brush guard so I went extra slow to avoid smashing my bumper on a tree or limb. Nor did it have floodlights as most well equipped off-road vehicles do to light up the trail at night. So as a large log across the trail came into view, there was no way to be seen around it. I stopped to get out and inspect the log. Sure enough, it was low enough we could make it over the top. I just needed a little speed to get the front tires over the top. With my wife waiting outside to help guide me over, I accelerated toward the log and came to a sudden stop. I had definitely not gone over it. I looked to my left and saw the ground. Thankfully, I was not upside down. But there was no doubt in my mind, I was stuck. I had to crawl out my door's window because my door would not open. Walking around my truck I discovered that my left front tire was in a hole up to the axle. It had been completely camouflaged by tall grass. It was in just the right place to catch my front tire. My front plastic bumper was pinned against the log I was attempting to surmount. There was no doubt in my mind, things had just gotten serious. Now I must admit my idiotic mistake. I ventured into a vast unknown forest to go off-roading alone and took no winch. Nor did I have a come-along, a kind of hand-powered winch. I did not even take so much as a rope. Why, for the same reason I didn't outfit my truck with any other off-roading extras, I didn't have the money. Or at least that is the excuse I made. In hindsight, it was a stupid choice. A decent chain and come-along would have cost me $200 or less. I may not have been able to afford other bells and whistles. But some method of extraction is crucial to off-roading. I had planned on my friends coming along. They could have easily pulled me out. But they were not there now. Worse than that, no-one knew where we were, and it was dark. There was still Someone looking out for us. My wife and I prayed over the situation. Then I began trying to back out of the hole. I tried and tried to reverse out of the hole. The back right wheel was in the air and unable to help. The others just spun and slung sopping mud everywhere. My fancy tires were not much good now. Next, I grabbed my shovel and tried to dig the edge of the hole into a ramp in the hopes the front left tire could get out if it was less steep. Thankfully, I had the sense to pack a shovel. But after about 45 minutes of slinging mud in the dark with both a shovel and tires I was just as stuck as before. Praying to God I considered my options. Looking at my GPS I realized we were only about two miles from a paved road. I decided to send a call for help over my CB radio. It was unlikely anyone would hear, but it was worth a shot. After 30 or so unsuccessful minutes calling for help over emergency channel 9, I knew no one could hear us. Having realized how close we were to the road, it dawned on me we might be able to walk to the road and try and flag down a car. But it was late at night and it didn't seem like there was much of a chance of a car passing by. Besides, if they did stop what could they do? It seemed like we were stuck there till morning. Then I glanced at my phone to check the time. Only, the time was not the first thing that caught my attention. The two bars of cell reception did instead! Cellphone service, out here in the boonies? "Praise God" I said allowed! I was able to call the local sheriff's office and tell them about my predicament. They were able to mobilize the local County rescue squad. When they arrived, they had a long chain and come-along. They rigged to a nearby tree and me unstuck in about five minutes! We were so thankful we were near tears. My wife and I were able to safely make it back to the road and we were praising God the entire way. God used this experience to teach me some valuable lessons. Principle among them is the value of friends. I learned that day how dangerous it is to attempt the unknown, alone. Some people think they are better off alone in this life. They think they do not need others, they don't need the church or fellowship with other Christians. But this could not be more wrong. God gave us friends to pull us out when we get stuck. They are there to support us and keep us on the correct path. Sometimes God brings previously unknown 'friends' into our life to help us just when we need them like the rescuers who saved me that day. Even if all of our human friends abandon us, we know that we have a Friend in heaven who is always with us! 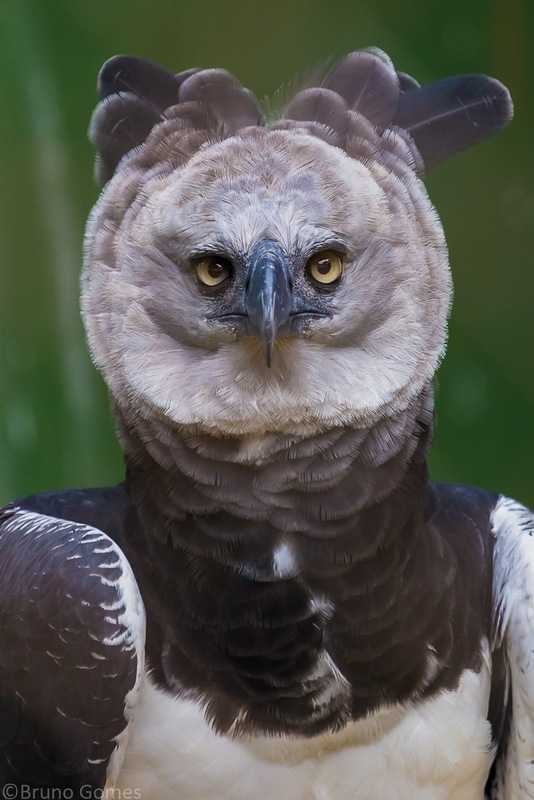 The harpy eagle (Harpia harpyja) is a fascinating bird that at first glance, could be mistaken for an owl. The shape of it’s concave face looks uncannily like an owl’s. However, it is most certainly an eagle. It is native to the jungles of South and Central America. It is a very large eagle with an unusually short wingspan so it can easily fly between the dense trees. It builds its nest 90 or more feet (27 m) high in a tree. It can have claws as big as those of a bear! It is a fantastic hunter and a king of the jungle. It lives on large mammals, mostly sloths, monkeys, and opossums. It’s an apex predator.1 Apex predators have a unique place in the food chain. They are at the top (apex) and therefore have no natural enemies. However, if the health of the ecosystem where they live declines or is threatened, so is the apex predator. As a result, scientists are able to determine when ecosystems are in poor health by looking at the health and numbers of the apex predator. They provide a good metric to determine when their habitat is threatened. We can draw a parallel with the church. Pastors are usually in charge of a church. In some cases it may be a head elder. Either way, this person is at the top of the local church management. Pastors (and elders) are endowed by God with authority to lead His flock. This is because they have training and spiritual gifts to lead evangelism and facilitate other’s spiritual growth. Pastors (and other church leaders) are not better or closer to God than us. Only Jesus is the Head of the Church. But their leadership is important to direct the local church. Like the harpy eagle, who’s health indicates the health of the jungle where they live, so the pastor’s, or elder’s, spiritual health is a good indicator of the spiritual health of their church. Where you find a thriving congregation, full of the love of Jesus, you will find a pastor who has a strong relationship with God. Wherever you find a pastor who is overworked, or preoccupied with this world, you are likely to find a church congregation that is unhealthy and dwindling. How does this impact you? As church members we often take our pastor, and elders, for granted. It is easy to forget they are human too. We tend to forget that they are not there to do all the work in the church, to conduct all the evangelism and bible studies. When Paul compared the church to a body, he meant we all have a part to play. The pastor cannot do it all. So if you want to ensure that your pastor, and elders, maintain a healthy relationship with God. If you want to be sure that he or she is able to do their best work for your church, do what you can to help him or her. Pray for them, daily. Go to them and tell them you want to help. Ask what you can do to help the church and make their job easier. Seek ways to serve your pastor and help him or her keep a healthy relationship with Jesus. What do you think a pastors most important job is? What are some other ways you can assist your pastor and church elders? What should you do if you feel your pastor is not doing a good job? What steps can you take to make sure your work for God does not get in the way of your relationship with with God? 1: “Jungle Eagle: Harpy Eagle Fact Sheet.” Public Broadcasting Service (PBS) online. Retrieved on February 27, 2019 from http://www.pbs.org/wnet/nature/jungle-eagle-harpy-eagle-fact-sheet/7263/.